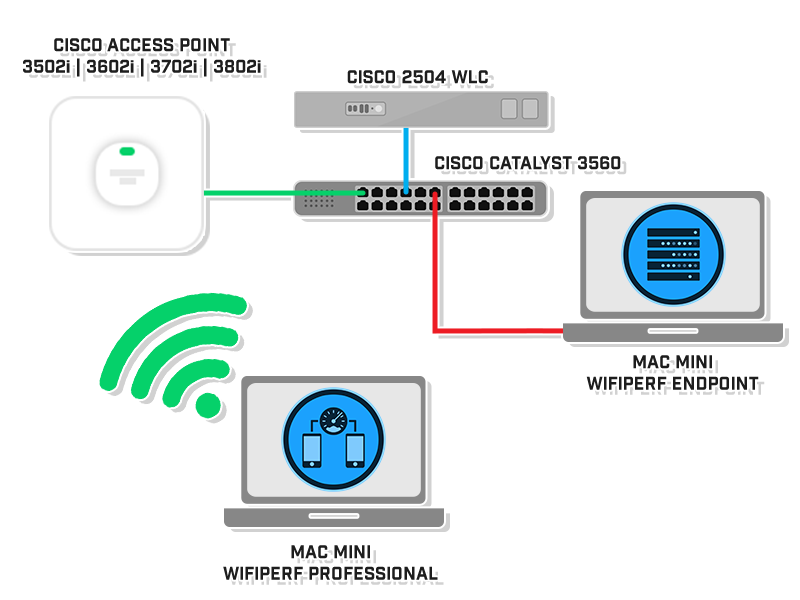 WiFiPerf Professional is a bandwidth performance measurement app for Mac OS that operates as a testing client when connected to different testing servers. The app is used to test Mac OS, iOS, Windows, and Android that run either iPerf2/iPerf3 (server mode) or WiFiPerf EndPoint. iPerf is an open source software utility available for many operating systems. iPerf3 is used to measures the available TCP and UDP bandwidth along a path between two hosts and can be used for wired and wireless testing. When using iPerf there is usually a sender/client (iPerf -c ) and a receiver/server (iPerf -s).